Flume is set to RETURN to Red Rocks Amphitheater on Tuesday 6th August 2019– to give a mindblowing headline performance! This Grammy Award winning dance artist is loved far and wide for his unique yet on point electronic sound that brings together a warm and welcoming crowd, not just of EDM fans but all kinds of people that just know what good music sounds like. Get ready for this unmissable show by grabbing tickets online – right here! Headlining Red Rocks this coming summer is the only and only, Flume – an Australian producer who is currently taking the world by storm! He is leading the way for other musicians to really make an artistic mark and not just create another EDM act, but something that will really get people talking, moving and being captivated when performed live. 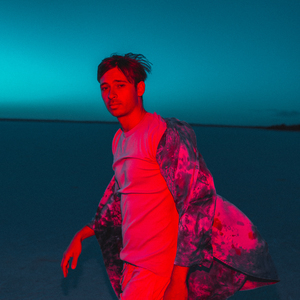 If you love Flume, then you will already know that he showcases gorgeous melodies through a combination of genres such as; Pop, Hiphop, Indie and EDM – this is what we all were waiting for on the dance scene!